Michael “Pinball” Clemons is a man of unquestionable character and spirit. He is equally renowned for his achievements on the football field as he is for his impact as a motivational speaker. Toronto Argonauts former coach and player Michael ‘Pinball’ Clemons is a man of unquestionable character and spirit. Not only is he renowned for his achievements on the football field, Pinball’s aptitude for motivational speaking is undeniable. His presentations are at once captivating and empowering. He exemplifies the capabilities of teamwork and leadership while demonstrating what it means to beat the odds. Michael’s tireless community involvement and participation in countless charitable causes exemplify the qualities he possesses, which are so rarely found in today’s professional athletes. His presentations are at once captivating and empowering, and clearly demonstrate the capabilities of teamwork. Clemons will share his past experiences to illustrate how people can overcome obstacles and achieve success. Being just 5 feet, 6 inches tall and becoming a football superstar is quite exceptional. In his deeply moving and inspirational talk, he will speak about personal perseverance and the importance of teamwork, which is relevant to any industry. 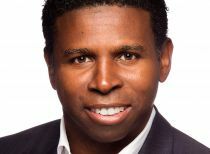 When Michael “Pinball” Clemons was not wowing the fans on the football field, he was running off the football field and onto the professional speaker’s platform to inspire corporate audiences with his engaging, inspirational and high-energy delivery. Whether the focus of his remarks is Teamwork, Coaching or Winning Against the Odds, Michael gets them on their feet. Michael Clemons is only 5’6″ tall and weighs 170 pounds. Yet this diminutive running back for the Toronto Argonauts Football Club is one of the best in the league, an electrifying player named the CFL’s most outstanding player in 1990 and one of the key reasons for the Argos’ three Grey Cup championships. His skill on the field is a story in itself, but it is his fight to get there that is revealing, fascinating, and above all, inspiring. All Heart is a story of winning against all odds, of succeeding while others predicted failure, of giving more when less would have been satisfactory. It is the story of a young man growing up without a father, but guided by the fierce determination and love of his mother and great-great-grandmother. Pinball was terrific. The presentation was high-energy entertainment for all participants, including those who are not sports or football fans. He truly is an engaging speaker. He did a tremendous job of "weaving in" the information about Allstate that I'd provided for him. He used our conference theme, corporate data/statistics, information about our President etc. He also got the audience involved, which made a big difference. Pinball was AWESOME!!!!!! He is truly amazing and we were blessed to have him at our event. He is the most genuine person I have ever met and he made our event! Pinball was AMAZING! I just looked at our evaluations from the Summit and 100% of the participants rated his session as excellent – he is very dynamic and real and through his great story telling he provided some very good leadership points … would recommend him to anyone looking for a motivating, inspiring and all round great speaker! Simply excellent…a dynamic speaker…he had me from laughter to tears and back…I wish to have the opportunity to see him again. Feedback from our people was absolutely wonderful. He was very engaging and really hit all of our key messages on the head. He really took the time to understand our focus for the meeting and make his messages and talk very inspiring and relatable! It was honestly the best keynote we have had at LEO! Pinball did an awesome job. Most events that I have attended the speaker usually stays in the background and only walks out on stage. Pinball sat at one of the tables and had lunch and then proceeded to shake hands with everyone, show his ring and take pictures. It was a great day. Everything was AMAZING!!!! Michael hit it out of the park – we’re receiving incredible feedback on him! To Canadians, the name “Pinball” stands for remarkable athletic talent, outstanding sportsmanship and a commitment to the community. As a former all-star running back, Grey Cup winning coach, President and CEO of the Toronto Argonauts, Michael “Pinball” Clemons is a man of unquestionable character and spirit. He is equally renowned for his achievements on the football field as he is for his impact as a motivational speaker. Pinball’s presentations are at once captivating and empowering. He inspires audiences by demonstrating what it means to beat the odds and encourages listeners to use teamwork to achieve their goals. Mike Clemons’ football career was characterized by incredible perseverance and great skill. At only 5 feet 6 inches and 170 pounds, he won against all odds. He succeeded while others predicted failure and gave more when less would have been satisfactory. “All Heart” is the story of a young man guided by fierce determination. Born and raised in Florida, the William and Mary economics graduate began his career in the CFL in 1989 after a brief stint in the National Football League with Kansas City and Tampa Bay. As a player, Clemons compiled a brilliant CFL career with the Toronto Argonauts, including a pro-football record for most career combined yards with 25,396. On September 15, 2000, Pinball hung up his Argo’s jersey after 12 seasons to take the reigns as Head Coach. As a player he retired a three-time Grey Cup Champion with 12 all-time team records to his credit. He has also won Grey Cup as the head coach of the 2004 Argo’s. Known for a personality that is as electric as his style of play on the field was, Clemons redefines the meaning of community involvement and has been recognized by many organizations for his tireless work with charities, schools and other community groups. Michael is an athlete with true character, an incredibly generous spirit and a quiet dignity that shines on and off the field. Michael tells how his upbringing has shaped him, how his steadfast faith has always guided him and how his commitment to his team and his community is much more than just a professional veneer – but a deeply held feeling of true spirit and belonging.